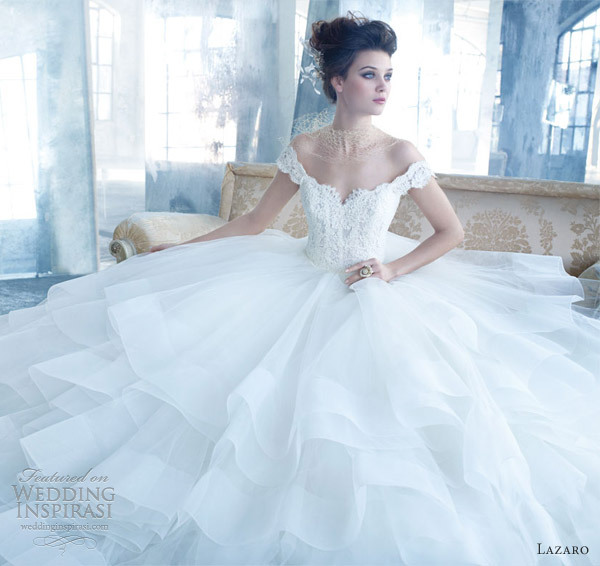 Pretty, pretty gowns from Lazaro Spring 2013 bridal collection. Delicate colors, exquisite embroidery and ethereal tulle layers — this collection is an absolute visual feast. Above, style LZ3300 strapless tulle ball gown with Chantilly lace sweetheart bodice and horsehair sash, shown in peony. Below, style LZ3301 beaded and embroidered tulle mermaid gown with jewel neckline, elongated sheer embroidered bodice and champagne layered tulle skirt with horsehair hem. Style LZ3307 silk crepe satin A-line gown with silver embroidered overlay and jeweled empire bodice with crystal shoulder straps, shown in sherbet. Style LZ3308 flamenco inspired organza and Alencon lace mermaid gown featuring sheer elongated lace bodice with sweetheart neckline and layered organza and lace skirt. Style LZ3309 tulle ball gown featuring Alencon lace bodice with off the shoulder lace straps, sweetheart neckline and circular skirt with layered horsehair hem. 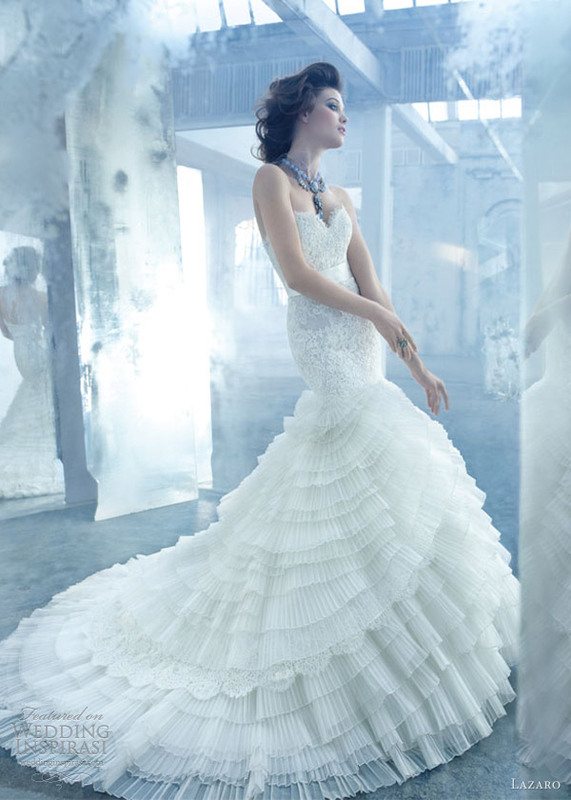 More gorgeous Lazaro wedding gowns on the next page.